Thank you to all that attended and participating in Evidence Live 2017 at the Blavatnik School of Government June 21 -22. We hope that you found the sessions informative, inspiring and worthwhile. 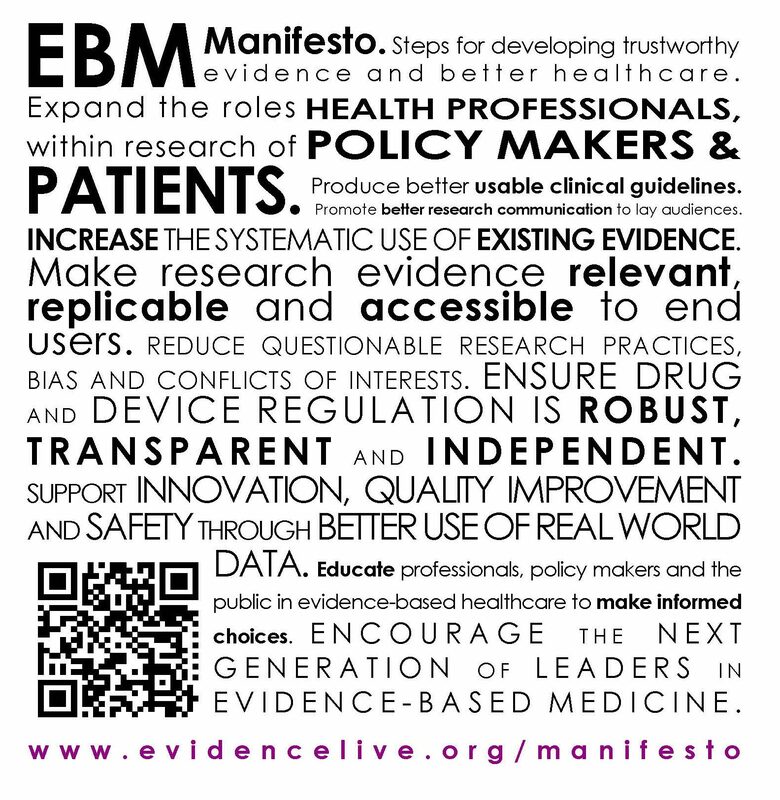 One of our primary goals was to increase awareness of the EBM manifesto Better Evidence for Better Healthcare and generate jobs lists for key stakeholder groups to fix the problems in EBM. There are many problems in EBM, but also many solutions. If you didn’t get the chance to join the consultation workshop but are still keen to let us know your thoughts you can write your suggestions through the online form. All contributions will be shared openly online. All Evidence Live 2017 materials will be added to the website over the next few weeks. If you would like to share your presentation / poster please send a pdf copy to cebm@phc.ox.ac.uk and we will add it to the webpages. If you have a spare five minutes please complete the feedback questionnaire to help us improve the event for next year.